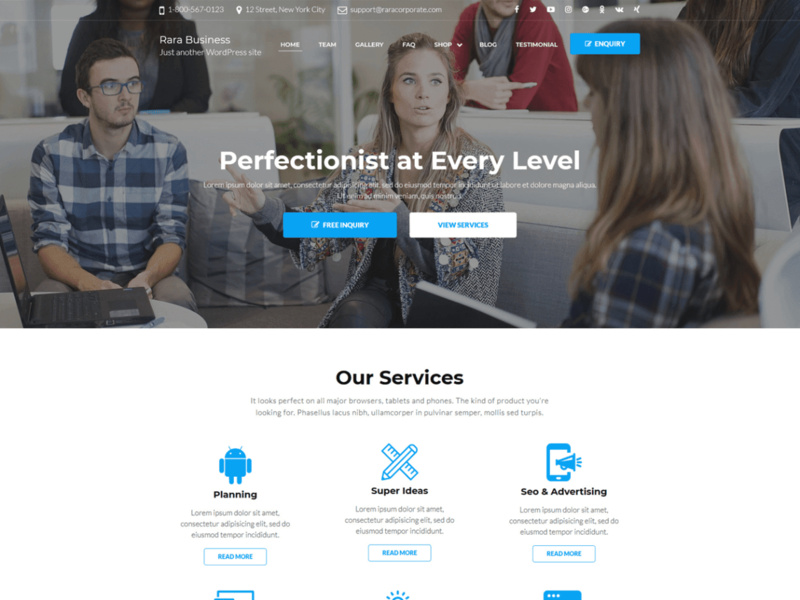 Rara Business is a free WordPress theme for business and corporate websites. You can use it to build small business (restaurants/cafe, travel, education, hotel, construction, events, wedding planners, fitness, affiliate, fashion, lawyer, consulting, sport/medical shops, spa/temas, political), portfolio, church, online agencies and firms, charity, ecommerce (WooCommerce), and freelancers websites. Rara Business is widgetized, visually appealing and clean. It is responsive, Schema.org compatible, SEO friendly, RTL compatible, speed optimized, and translation ready. Check demo at https://demo.raratheme.com/rara-business/, read the documentation at https://raratheme.com/documentation/rara-business/, and get support at https://raratheme.com/support-ticket/.